A spoof of kids educational animated shows that are on PBS Kids and Nick Jr.
A sincere and beautifully crafted film. Joh Heder gives a layered, affecting performance. It's a small personal story that sneaks up on you with emotional oomph. 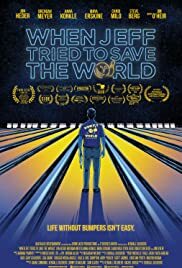 I highly recommend it to lovers of indie film, bowling, or anyone who's ever had to struggle with change in their lives-- so, everyone.